Reassurance is probably the most widely used approach by parents and medical staff intending to reduce a patient’s pain and psychological distress. However, what empirical evidence exists to support its assumed and universally regarded benefits? On close inspection, the literature is unexpected. Reassurance appears to have counterintuitive consequences. This article reports the latest research on the relationship between adult reassurance and child distress. The benefits of proper timing of reassurance provision, as well as the importance of contextual factors, are discussed. Can you remember how many times your dentist has reassured you, for example, during an anaesthetic injection? Do you suspect that the phrase from the dentist ‘It won’t hurt’ only serves as a warning that it is going to be painful, even though the dentist appears very genuine in their remark? Have you tried to reassure your child or a family member, for example, in the waiting room before an injection? Perhaps you wonder whether the ‘don’t worry’ type of reassurance has much of an effect in reducing the anxiety of your loved ones. As you do your best to promote comfort or reduce distress, maybe you ponder whether it would be more effective to use reassuring statements more frequently, over a longer period of time or at key moments? What other factors might influence the effect of reassurance provision to reduce patient anxiety? For example, does reassurance benefit only the anxious rather than the non-anxious child? Will the nature of the procedure (painful or non-painful) make a difference? These questions form the focus of this article. We will review the evidence on the counterintuitive link between adult reassurance and child distress from the pain management literature to procedures of a less aversive nature. We will also highlight the latest research including appropriate timing of reassurance provision in reducing child distress. Reassurance commonly consists of explaining symptoms, informing the patient of oncoming procedures, and/or telling the patient that there is nothing to worry about. The latest model on medical reassurance and patient response is developed from persuasion theories (Coia & Morley, 1998). This model categorises reassurance into affective reassurance (creating rapport and showing empathy) and cognitive reassurance (providing information and education). Affective reassurance aims to reduce anxiety and reassure patients through a sense of being cared for and understood; whereas cognitive reassurance tries to change patients’ knowledge and understanding through education. These authors argue that affective reassurance can be closely construed as a heuristic, and the response it produces in reducing anxiety is usually temporary. In contrast, cognitive reassurance is more systematic and its impact on changing patients’ beliefs is more stable. This difference in the affective and cognitive reassurance functioning mechanism might help explain why cognitive reassurance produces more consistent patient care outcomes, such as improved patient satisfaction and empowerment (Pincus et al., 2013). However, providing information only is not sufficient to change distressing behaviour without recognising patients’ emotional needs. For example, Dowrick et al. (2004) found that patients with various non-organic pain conditions, in primary care settings, would not accept doctors’ reassuring information. The exception was when information was provided relevant to their emotional concerns. The importance of the emotional valence of a message was also shown in another study (Michie et al., 2004). These authors found that a patient’s request for future cervical tests was mediated by how reassured the patient felt about the message. While sufficient evidence suggests that cognitive reassurance cannot be effectively delivered independently of affective reassurance, can we assume that healthy behavioural functioning will follow naturally when thinking and emotions become consistently linked? This current model has face validity, but there are a number of limitations. First, the model neglects non-verbal reassurance. A recent systematic review in the paediatric dental setting identified the importance of appropriate physical contact in reducing children’s fear-related behaviours, when used by staff including verbal reassurance (Zhou et al., 2011). Second, it fails to recognise the complexities in the experience of pain, not to mention situations where pain is not the primary source of anxiety. For example, reactions of patients undergoing painful, compared to less painful, procedures might be different. Parents, paediatricians and nurses might use reassurance differently, focusing more or less on emotional, informational or physical types of reassurance. Patients with different levels of anxiety might also react to reassurance differently. Thus, complex situational factors may influence the results of reassurance provision and should contribute to the model’s development. To develop the model further, we focus on adult (parental and staff) reassurance and child behaviour, where the literature is more extensive and has greater relevance. Studies in child pain management literature have consistently demonstrated that adult reassurance can have adverse effects on child response in both anticipatory and procedural phases of painful medical procedures. For example, Bush et al. (1986) explored how mothers’ reassurance influenced medical distress of children in the paediatric outpatient waiting rooms. They found that maternal verbal expressions of empathy, support and praise (affective reassurance) as well as using a physical reassuring stroke (non-verbal reassurance) was associated with high levels of child distress, such as crying and silent withdrawal. Blount et al. (1989) found that adults’ (father, mother, residents and nurses) procedure-related reassuring comments (cognitive reassurance) were linked with increased child distress including ‘scream’, in both anticipatory and procedural phases of an invasive cancer procedure. Non-verbal behaviour was not assessed. A third study (Dahlquist et al., 1995) confirmed that parental use of the affective type of verbal reassurance, accompanied by physical reassurance, promoted child distress (including verbal resistance and crying). Physicians favoured a different reassuring style: they were more likely to provide child cancer patients with ‘notice of procedure coming’ (cognitive reassurance) and verbal emotional reassurance with less frequent use of physical reassurance. Most interestingly, this type of physician’s reassuring style was negatively correlated with child distress. While it might be too early to praise the physician’s approach (providing information while acknowledging emotional needs), this finding certainly highlighted the importance of how different reassuring styles influence child distress. How reassurance relates to distress in children undergoing procedures of a less aversive nature is less well understood. We have recently found supporting evidence for the detrimental effect of adult reassurance on behaviour of young children undergoing oral health preventive procedures (Zhou & Humphris, 2013). Using a specially developed coding scheme (Zhou, Cameron et al., 2012; SABICS: see resources box), we analysed 270 video interactions between dental nurses and nursery-school children during the fluoride varnish application procedure (Childsmile). We found that nurses used both affective (e.g. ‘Don’t worry. It won’t hurt’) and cognitive reassurance (e.g. ‘It’s easy-peasy. It tastes like bananas’), as well as non-verbal reassuring behaviours (e.g. a reassuring touch, stroking and holding the child’s hand) while encouraging and comforting the children receiving the application. Nurses’ verbal reassurance (both affective and cognitive) increased, by more than two times, child distress behaviours (such as crying and shaking head type of non-cooperative behaviours), compared to other nurse behaviours such as ‘instruction’ and ‘praise’. Non-verbal reassurance was, however, not related to child distress. Furthermore, use of reassuring comments was unexpectedly associated with unsuccessful application outcomes (Zhou, Forbes et al., 2012). Apparently, that reassurance can have an unintended adverse effect seems also true in less painful procedures. I Reassurance can serve as a warning or an alert that something unpleasant is going to happen, which might make the subject of the warning more salient to the child and consequently increases the level of anxiety. I An anxious child’s signs of apprehension might trigger an adult to provide a reassuring comment such as ‘don’t worry’. This might in turn reinforce the child’s distress behaviour. I Adult reassurance may facilitate the release of a child’s negative emotions. 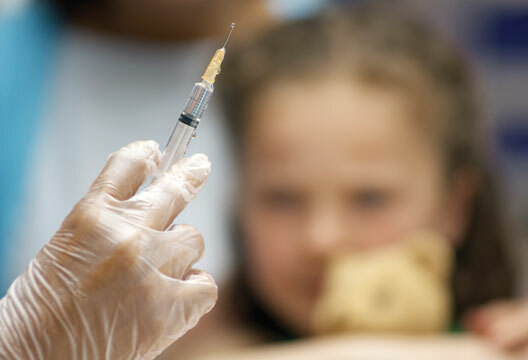 You might have noticed that you have been repeatedly telling your child at an immunisation injection ‘It won’t hurt’, and explaining the procedure for an extended time. You later realised that you should not have said it too early. What ‘tips’ for parents might be suggested for trying to reassure a child? A previous study indicated that altering the frequency of parental reassuring comments did not change the adverse effect of reassurance on child behaviour (Gonzalez et al., 1993). Our latest study (Zhou & Humphris, 2013) has demonstrated that it was the timing that mattered most. We found that when a reassuring comment was offered by dental nurses closer to the end of the fluoride varnish application procedure, child distress behaviour was less likely to be observed. Neither frequency, nor duration of a reassuring comment was related to child distress. Our findings support the view that reassurance, if it is to be employed, is better positioned closer to the end rather than at the introductory phase of the procedure. Unfortunately, no further evidence was available to guide paediatricians and parents as to when exactly to provide reassurance to assist a child in a stressful situation. The good news is this finding is consistent with the warning against the use of bland (Warwick & Salkovskis, 1985) or premature reassurance (Faulkner & Maguire, 1994; Razavi et al., 2003). This advice is gradually gaining acceptance. Warwick & Salkovskis’s (1985) argument might help us to appreciate the benefits of providing reassurance at the right time. They argue that patients have two separate but interrelated concerns when they complain about a particular symptom. The first is the pain and related discomfort directly arising from the symptoms. The second is what the symptoms mean to the patient. For example, the patient may believe nausea comes from stomach cancer, which will create disproportionate anxiety. They argue that it is this second process (the meaning of the symptoms) that leads to the need for reassurance. Following this argument, careful exploring and understanding the patients’ condition and emotional needs is a prerequisite to successful delivery of reassurance, which has put timing in an important position.Influence of other factors when reassuring child patients.From a commonsense point of view, many situational factors will influence how reassurance is delivered and its impact on child response. For instance, you would expect that an anxious child will respond differently to reassurance compared to a non-anxious child. Indeed plenty of studies have demonstrated that child and adult characteristics affect child distress and/or how reassurance relates to child behaviour. For example, younger children were found to be generally more likely to exhibit distress behaviour (Jay et al., 1983). Older boys demonstrated greater pain tolerance than girls (Piira et al., 2002). Evidence has also suggested that reassurance may be helpful for those with a low level of worry, but not for those with high level of anxiety (Lucock et al., 1997). Our recent systematic review revealed ambivalent results regarding the effect of adult working experience on anxiety-related behaviours in child dental patients (Zhou et al., 2011). In summary then, person-related factors are important in understanding how adult reassurance impacts on child behaviour. They are, nevertheless, conventionally studied in isolation to the behavioural-level factors, such as reassurance frequency, duration and timing. One negative consequence of this traditional approach is that interpretations of the relationship between reassurance and child distress are independent of context. Latest methodological development in behavioural coding (The Observer XT system: see resources box) and the multilevel modelling procedure (Cartwright et al., 2012) has allowed us to explore some of these factors in greater depth. With this approach in mind, when studying how nurses’ reassurance impacts on child distress, we found (Zhou & Humphris, 2013), as previously mentioned, that anxious children receiving verbal reassurance were more likely to exhibit distress behaviour, compared with non-anxious children receiving reassuring comments. From a contextual viewpoint, however, neither child age or gender, nor the nurses’ adult training experience on how varnish application is implemented, had any impact on how reassurance influenced child distress. We also found, unexpectedly, that additional training nurses received on child management and communication skills promoted child distress. We believe that, in receiving additional training, these nurses were generally more experienced in communicating with children. It can be argued that children might also become more responsive to these nurses, resulting in more frequent display of behaviours including observable distress behaviours. I Be cautious in your use of the technique of reassurance. The ‘catch-all’ phrase of ‘reassure the patient’, that is used in many medical text books in the management of medical and dental conditions should be edited out. It can be replaced, with due attention given to particular features of the condition, or treatment, that the patient may require further information. I Provide some space for patients to express their specific concerns, so that direct support can be offered, through further information or use of accurate empathic response, that is, compassion. The ability to study these processes in exquisite detail now exists through the combination of precision coding with high-quality video recordings, bespoke software, inclusion of sophisticated multilevel modelling, and researcher-developed theory, sensitively matched to the settings, procedures and individuals captured at the ‘scene’ of interest. Blount, R.L., Corbin, S.M., Sturges, J.W. et al. (1989). The relationship between adults’ behavior and child coping and distress during BMA/LP procedures: A sequential analysis. Behavior Therapy, 20, 585–601. Bush, J.P., Melamed, B.G., Sheras, P.L. et al. (1986). Mother–child patterns of coping with anticipatory medical stress. Health Psychology, 5, 137–157. Cartwright, M., Traviss, G. & Blance, A. (2012). Murder, muddled thinking and multilevel modelling. The Psychologist, 25, 690–693. Coia, P. & Morley, S.J. (1998). Medical reassurance and patients’ responses [Editorial]. Journal of Psychosomatic Research, 45, 377–386. Dahlquist, L.M., Power, T.G. & Carlson, L. (1995). Physician and parent behavior during invasive pediatric cancer procedures: Relationships to child behavioral distress. Journal of Pediatric Psychology, 20, 477–490. Dowrick, C.R., Ring, A., Humphris, G.M. & Salmon, P. (2004). Normalisation of unexplained symptoms by general practitioners: A functional typology. British Journal of General Practice, 54, 165–170. Faulkner, A. & Maguire, P. (1994). Talking to cancer patients and their relatives. Oxford: Oxford University Press. Gonzalez, J.C., Routh, D.K. & Armstrong, F.D. (1993). Effects of maternal distraction versus reassurance on children’s reactions to injections. Journal of Pediatric Psychology, 18, 593–604. Jay, S.M., Ozolins, M., Elliott, C.H. & Caldwell, S. (1983). Assessment of children's distress during painful medical procedures. Health Psychology, 2, 133–147. Lucock, M.P., Morley, S.J., White, C. & Peake, M.D. (1997). Responses of consecutive patients to reassurance after gastroscopy: Results of self-administered questionnaire survey. British Medical Journal, 315, 572–575. McMurtry, C.M., McGrath, P.J. & Chambers, C.T. (2005). Reassurance can hurt: Parental behavior and painful medical procedure. Journal of Pediatrics, 148, 560–561. Michie, S., Thompson, M. & Hankins, M. (2004). To be reassured or to understand? A dilemma in communicating normal cervical screening results. British Journal of Health Psychology, 9, 113–123. Piira, T., Taplin, J.E., Goodenough, B. & von Baeyer, C.L. (2002). Cognitive-behavioural predictors of children's tolerance of laboratory-induced pain: Implications for clinical assessment and future directions. Behaviour Research and Therapy, 40, 571–584. Pincus, T., Holt, N., Vogel, S. et al. (2013). Cognitive and affective reassurance and patient outcomes in primary care: A systematic review. Pain, 154, 2407–2416. Razavi, D., Merckaert, I., Marchal, S. et al. (2003). How to optimize physicians’ communication skills in cancer care: Results of a randomized study assessing the usefulness of posttraining consolidation workshops. Journal of Clinical Oncology, 21, 3141–3149. Warwick, H.M.C. & Salkovskis, P.M. (1985). Reassurance. British Medical Journal, 290, 1028. Zhou, Y., Cameron, E., Forbes, G. & Humphris, G.M. (2011). Systematic review of the effect of dental staff behaviour on child dental patient anxiety and behaviour. Patient Education and Counseling, 85, 4–13. Zhou, Y., Cameron, E., Forbes, G. & Humphris, G.M. (2012). Development of a novel coding scheme (SABICS) to record nurse–child interactive behaviours in a community dental preventive intervention. Patient Education and Counseling, 88, 268–276. Zhou, Y., Forbes, G., Macpherson, L.M.D. et al. (2012). The behaviour of extended duties dental nurses and the acceptance of fluoride varnish application in preschool children. British Dental Journal, 213, 603–609.